Our detour to Lake Tahoe before heading to Death Valley resulted in us passing spectacular scenery we hadn’t originally planned on seeing and in some cases didn’t know existed. 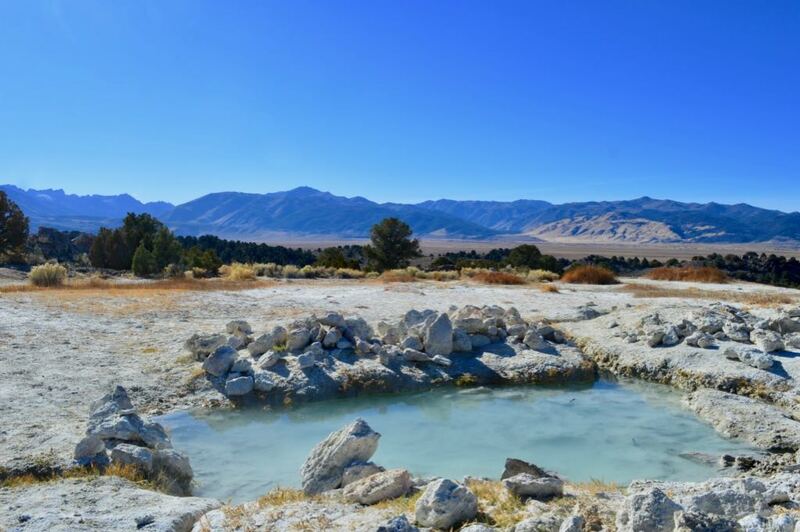 Example one, hot springs with a view of the Sierra Mountains. This is Travertine Hot Spring. 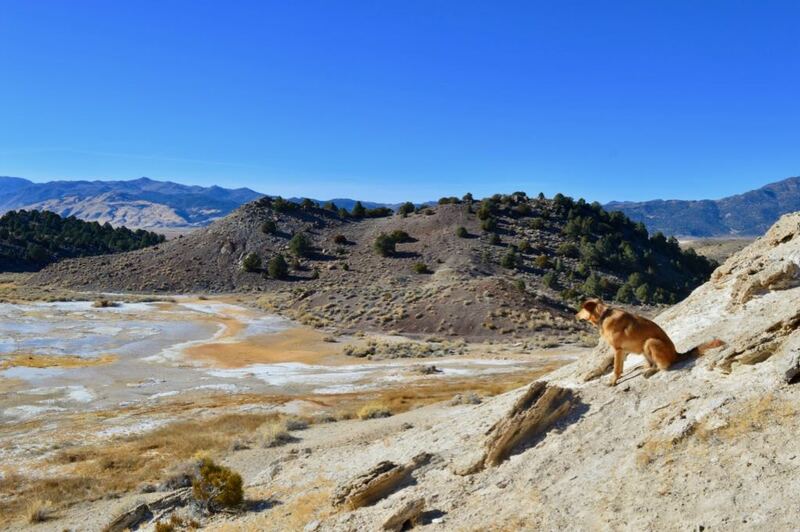 Roo checking out the landscape near Travertine Hot Springs. Example two, Lone Pine and Alabama Hills. 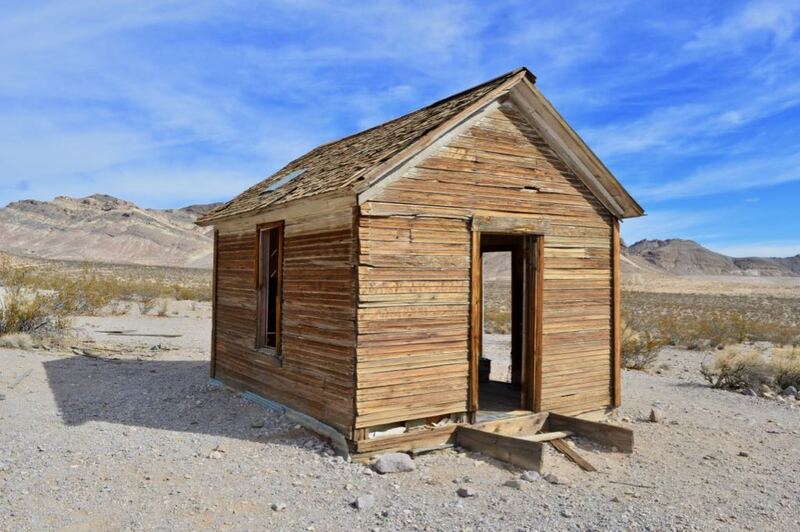 Lone Pine is a quaint little town that is not too far from Death Valley. The offered free Wi-Fi on main street and at their local park. When working on the road finding convenient, free wi-fi in neat locations is always welcome. 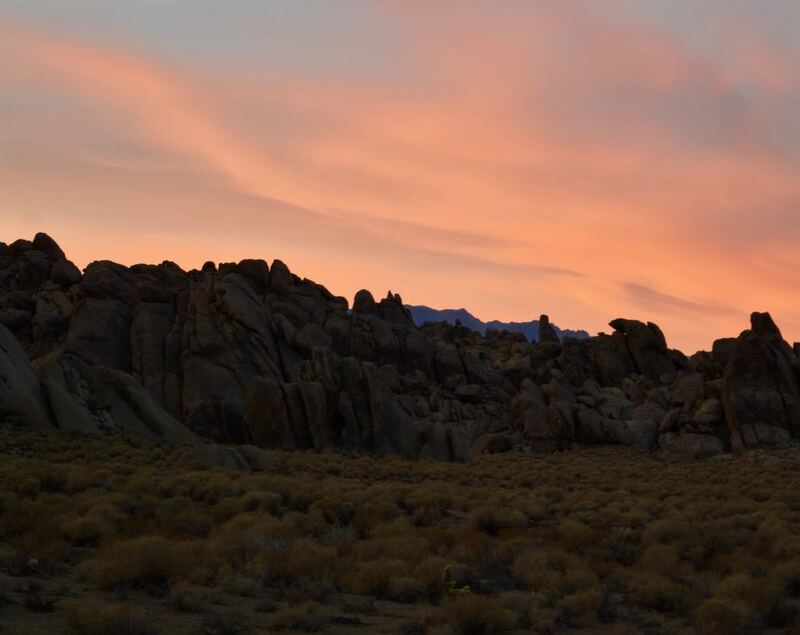 Lone Pine was the scene for many western drama’s most of which were filmed in the nearby Alabama Hills Recreation Area. 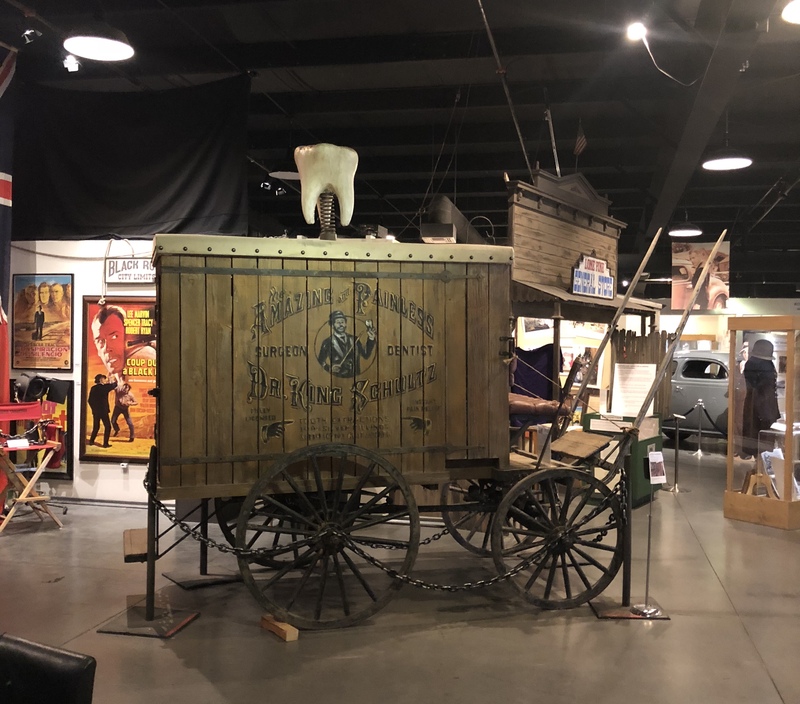 We stopped in at the film history museum and discovered other notable films have also had parts filmed in the area including Iron Man, Django Unchained and Tremors (just in case Western’s aren’t your thing). 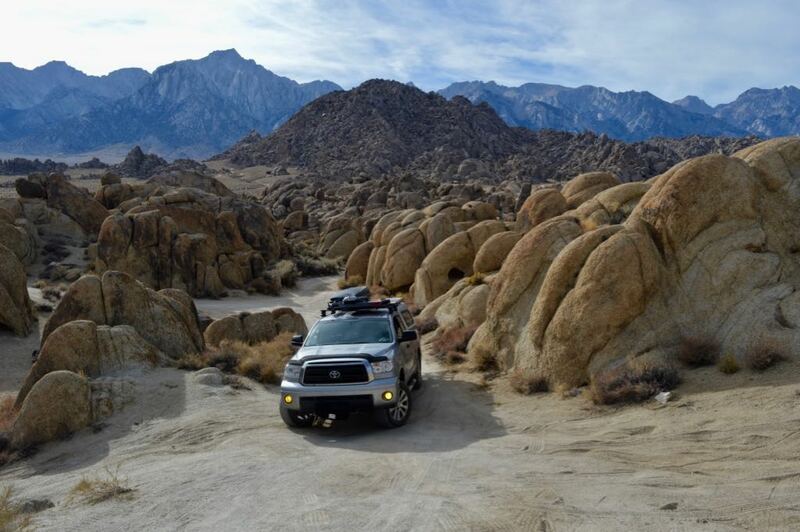 Alabama Hills Recreation Area near Lone Pine. 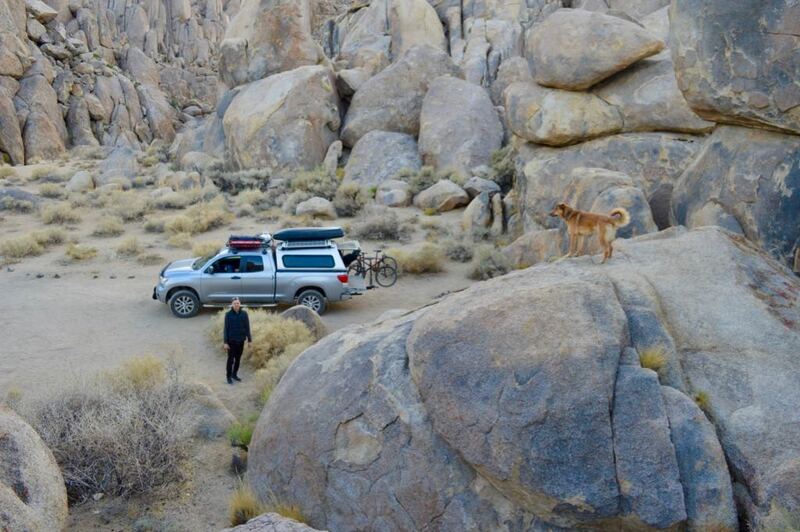 Climbing to our campsite in Alabama Hills. Every night had the most amazing sunsets. Alabama Hill’s Recreation Area has many trails and campsites everywhere you look. We had lots of fun 4x4ing and hunting for a new campsite each night. 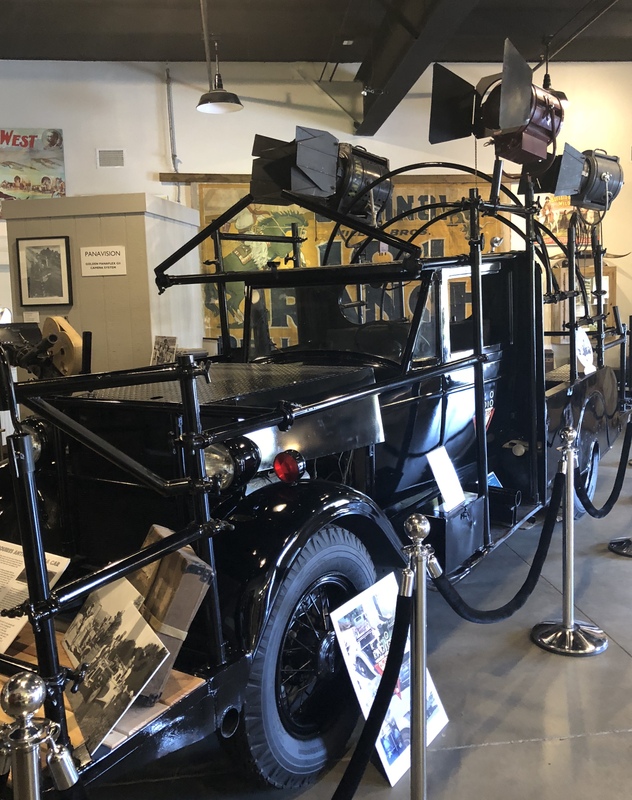 At the film museum we learnt that many of the trails were actually created when they used to film old westerns and needed a trail for the camera car. Camera car in the Lone Pine Film History Museum. The Dentist Cart from Django Unchained. 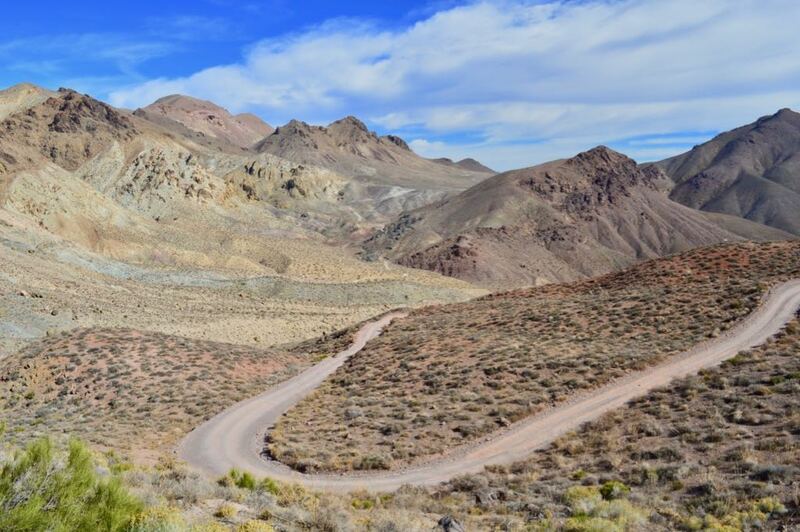 After two days in Lone Pine we headed towards Death Valley. 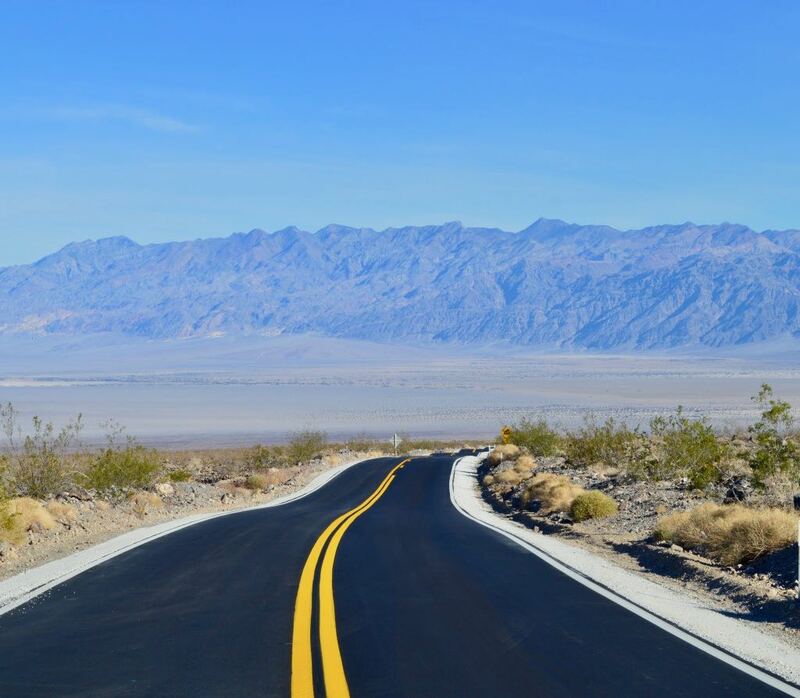 Death Valley, has the record for the hottest temperature ever recorded on earth, 56.7 degrees Celsius. Luckily, we were visiting in a cooler time of year, despite this it did still make it up to 34 degrees Celsius on one of the days were there. 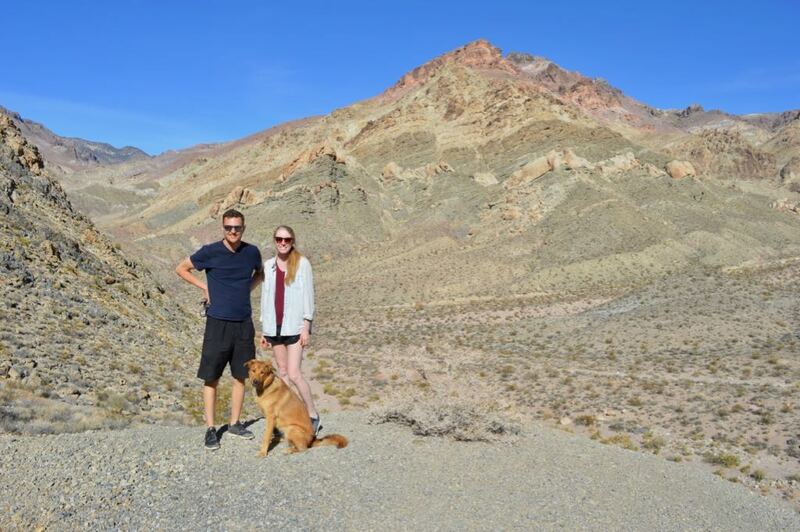 Family photo in Death Valley. 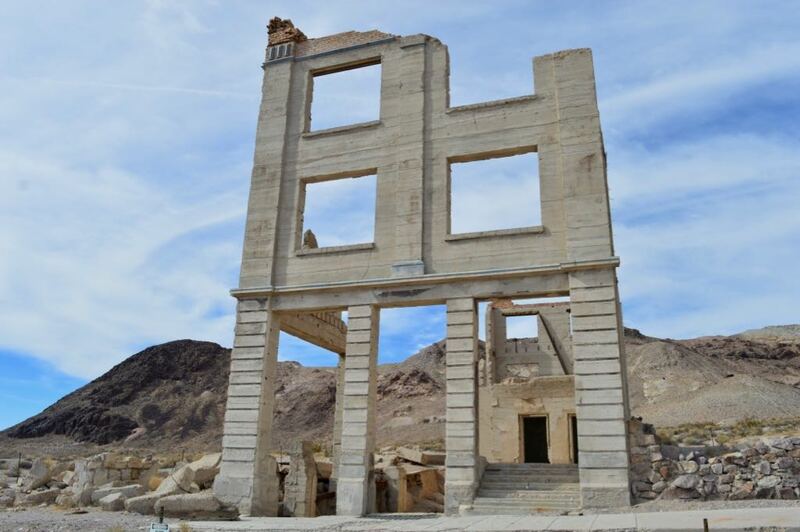 Just outside of Death Valley is Rhyolite Ghost Town. 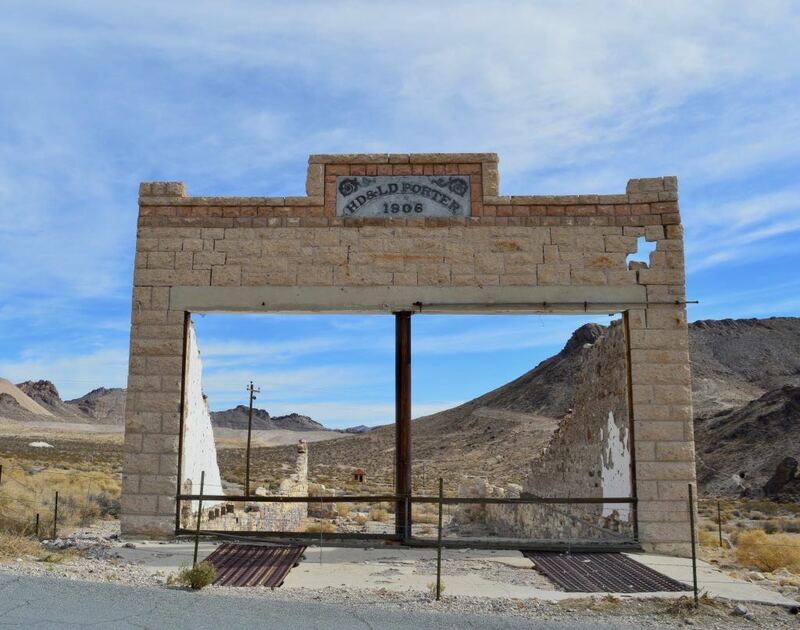 It was founded in 1904 and had no inhabitants by 1916, Rhyolite was one of several short lived boom-towns from the Gold Rush era. It is estimated that during it’s peak there were close to 5000 inhabitants. 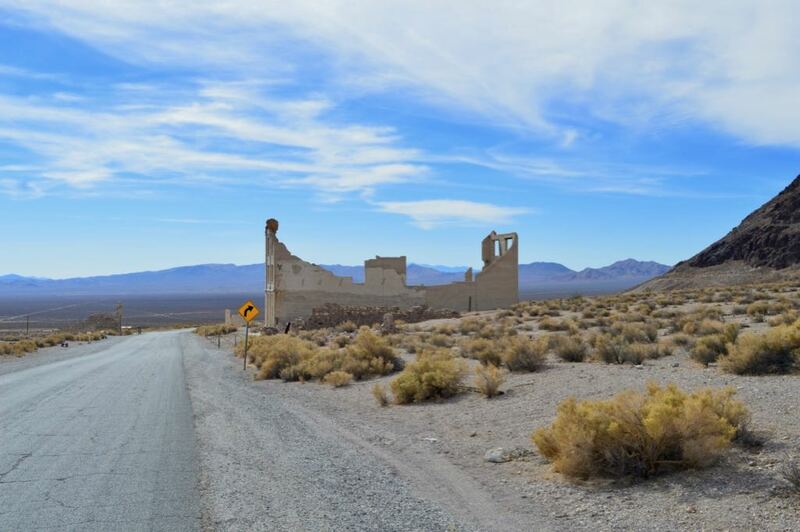 Rhyolite was a great place for photographs! The desolate landscape and abandoned building created an eerie atmosphere despite the sunny day. After touring around Death Valley we ventured to our campsite. We had GPS coordinates from the iOverlander app however we weren’t able to make it as the road became non-existent. It appeared to have been washed out. It took us over an hour to drive 5 miles because of the rocky 4×4 road conditions. Needless when we did find a somewhat level camping spot we were the only ones there. Next up on our Journey – Vegas (we’re going for the food).